More of the same. Hay is up. The hot weather crops such as tomatoes and peppers are setting fruit. Green beans next week. Garlic harvest this week. Life is full. 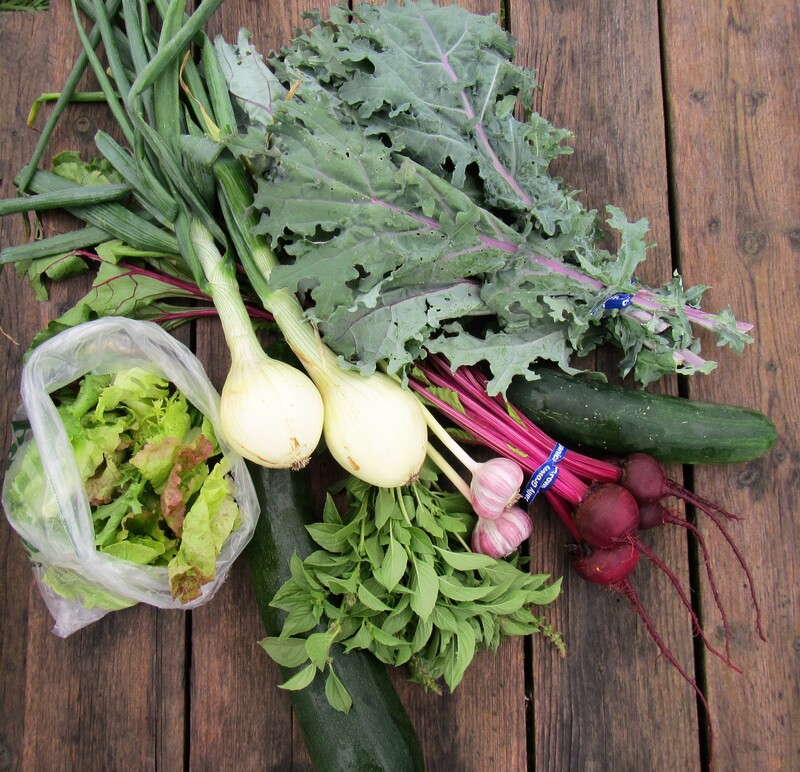 Salad, cucumber, sweet onions, kale, beets, zucchini….. Lemon basil tastes just like it sounds, lemony basil. 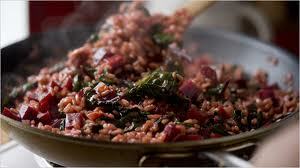 It can be added to pastas, salads, chicken dishes, pesto, the list goes on. Store in a plastic bag in the fridge. 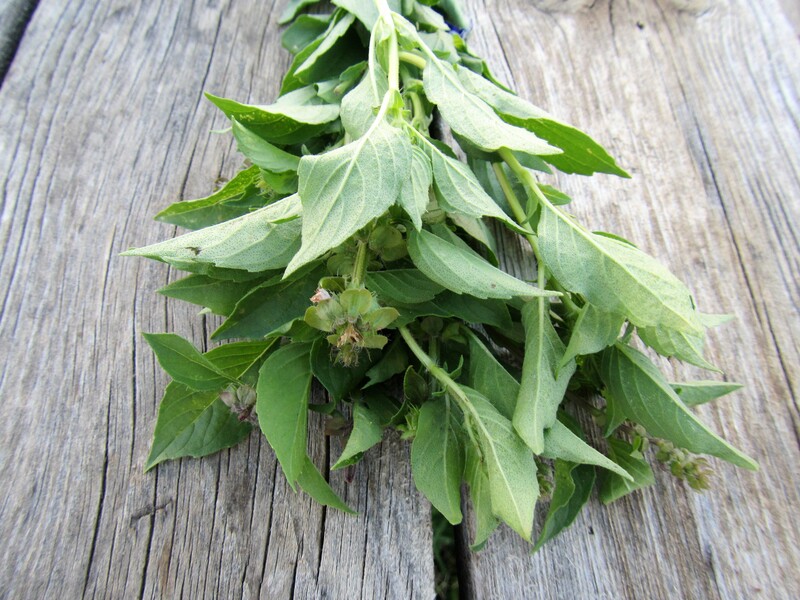 To use pick off the tender green leaves and rinse. Roja garlic is one of our favorite crops. 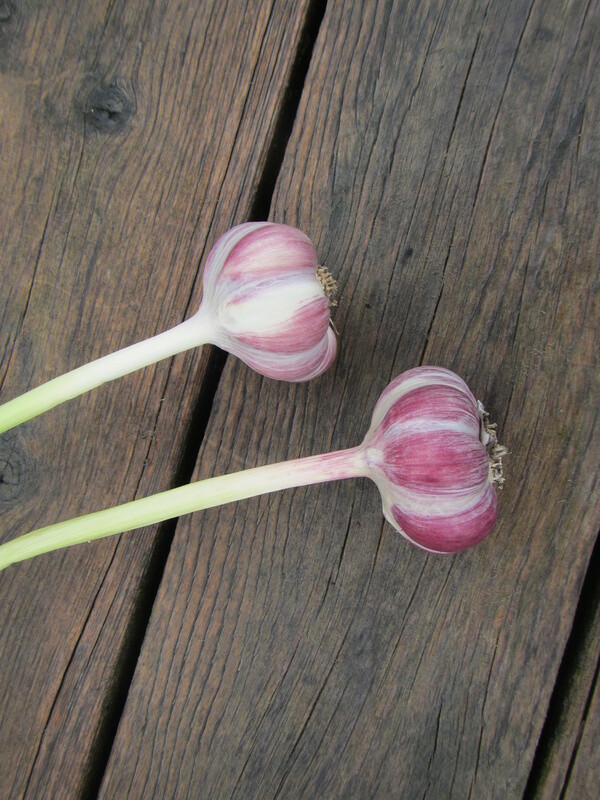 Compared to the softneck garlic you have been getting roja is way easier to peel. This is more evident after the garlic is cured. You can cure this garlic by letting it hang out in a dry, cool spot in your home for 2-3 weeks, or just eat it now, there is plenty more coming. Roja is smaller than the softneck, making it not quite as popular at the farmer’s market table (people love big garlic), but in fact it is our go-to garlic for the user friendly aspect. Roja also differs slightly in taste and pungency, some people find it a more flavorful garlic. All the rage these days, this healthy snack has been around for years and is a fun kid friendly way to prepare the green. This is a basic recipe that can be altered to suit your favorite flavors. Be creative and change around the oil and spices used. The only thing that can go wrong is overcooking the kale. 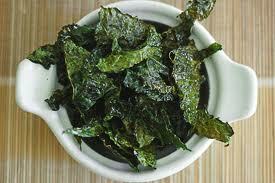 You don’t want to burn the kale so watch it closely near the end, removing smaller pieces that have cooked faster. Preheat oven to 350 degrees. If needed, wash kale and dry well. Stem kale and cut into bite sized pieces. In a large bowl, toss all with olive oil, salt, pepper, and desired spices. You want the kale lightly coated with oil. Bake kale on a non-insulated pan until crispy, about 20-25 minutes, turning once halfway through. Pull from oven once they are lightly crispy.